Composer, pianist, performer. After studying piano, composition and electronic music, he has left the academic view of music and begun an artistic path through experimentation, improvisation and electronics both in music composition and on the stage. His personal research is focused mainly on the interaction of music with other artistic expressions. His interest and experience also include video art and dancing. He has performed in international museum and galleries, such as MACBA (Museu d’Art Contemporani Barcelona, 2007), BAC (London, 2007), GRIM (Centre Montévideò Marseille, 2005), Accademia d’Arte Contemporanea (Siracusa, 2000), Théatre Daniel Soriano (Dakar, 2004), The Luggage Gallery (San Francisco, 2004), Voz Alta (San Diego, 2004). He has played with contemporary artists such as Tim Hodgkinson, Marc Ribot, David Shea, David Toop, Elio Martusciello, Victor Nubla, Fabrizio Spera, Paolo Fresu, Jean Marc Montera, Lorenc Barber, Roberto Pellegrini, Henning Frimann; in festivals among which Time in Jazz (Berchidda, 2006), LEM (Barcelona, 2005), Europe Tendence Emotion (Paris, 2003), electricittà – GRIM (Marseilles, 2005, 2003), Festival SpazioMusica (Cagliari, 2003), Ixem (Firenze, 2003), Impro Match, festival europeen de musique improvisée (Poitiers, 1999). In 1996 he founded the ensemble Coincidentia Oppositorum. Since 1989 he has been composing original music for many shows, collaborating with important italian theatres and artists such as Marco Carniti, Dario Fò, Marco Parodi, Dacia Maraini, Mario Faticoni, Francesco Origo, Francesco Saponaro, Carla Tatò. He is author of theatre shows that also include improvisation performances (Suonobliquo, Water Rythms, Aleph). 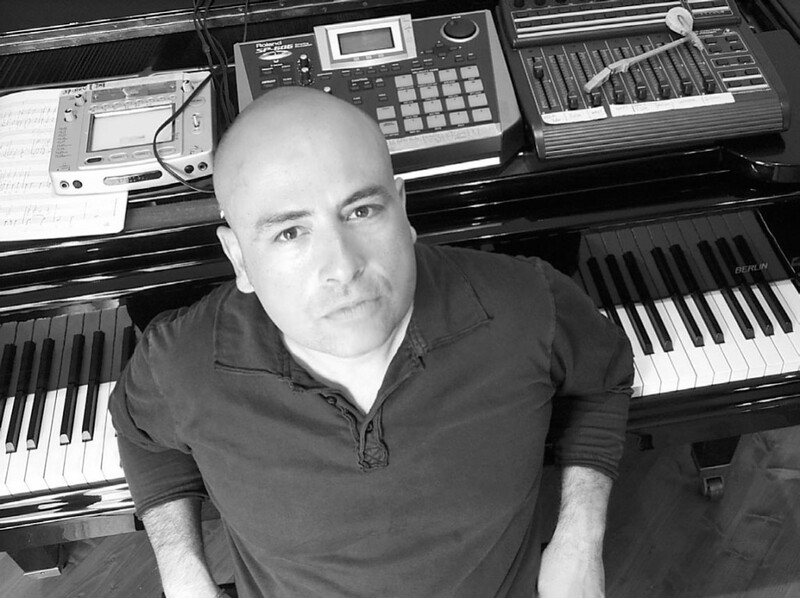 He has composed music for radio, television and films and worked on site scoring in country and urban places. He works on teaching activities since 1994, with theatre and music workshops. Through teaching he has deepened his view of the music-language-poetry relationship and has carried out several projects of vocal experimentation and theatre directions. For six years he helds classes of music-therapy and theatre workshops working in the field of mental difficulties. In 2007 he ideates and leads SIGNAL, advanced music and cross-media art festival. Since 2001 from 2005 he has been organizing an annual festival for improvisation and music research, based on workshops and performances in Cagliari, MicroOnde. He is based in Cagliari (mainly) where in 1995 he founded a center dedicated to the music research and theatre experimentation, TiConZero [www.ticonzero.org].